Not one for panic-ordering on Christmas Eve… Bentley has created a replica of the Continental GT, in a 1:8 scale. You can choose everything from the paint to the veneer in a totally bespoke commission. Bentley car models don’t come more customisable than this. LEGO has plenty of car kits available, including the Caterham Seven 620R, Ford Mustang GT, Mini Cooper and Ferrari F40, but we love this LEGO Technic Porsche 911 GT3 RS. It doesn’t look easy, and you’d definitely need to know your way around LEGO, but this 1:8 scale model includes features such as a working gearbox, opening doors and a detailed dashboard. 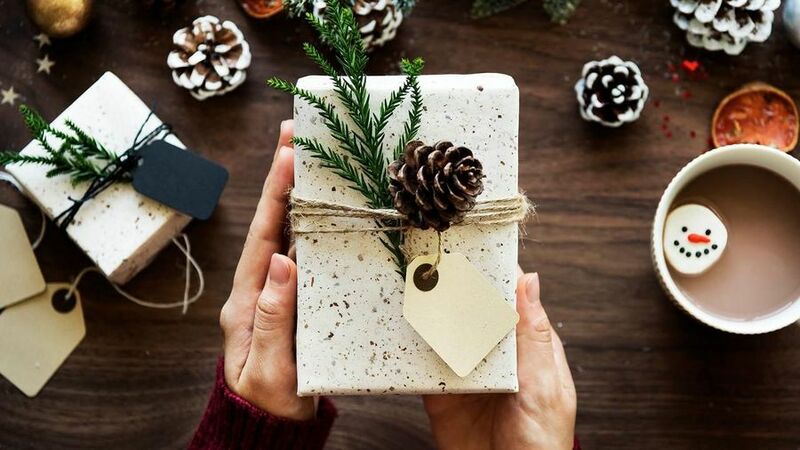 Goodwood has covered all the bases this Christmas, with everything from tickets for events, to gifts ranging from notepads and golf ball markers, to handmade champagne flutes and cashmere scarves, and overalls that would be perfect for next year's Goodwood Revival. What better combination is there than dogs and cars? This coffee table book, with beautiful photography, is guaranteed to make people smile. Porsche office chair: If this doesn't say Christmas, what does? Amy Shore's gorgeous automotive photography is now available to buy as prints, with each copy hand-signed by Amy. They're available in a range of sizes, from A3 to A0. And, you can’t forget about Fenton this Christmas! He’s probably spent plenty of time muddying up the boot of your Land Rover, so he should recognise and appreciate this fetching Land Rover dog bowl. Everyone knows not to mix drinking and driving, but here are three ales from Prescott brewery inspired by the Prescott hill climb course in Gloucestershire. You get a full-bodied ale, an amber ale, and a best bitter, in a gift box. If you're after a little something extra for someone this Christmas, how about this Belgium milk chocolate bar wrapped in a card printed with a stunning motor racing design by Belgian artist Jaak De Konick? A Mini that’s still actually quite mini, and electric. Your child can either cruise around the neighbourhood themselves, or you can use the remote control to direct them to the corner shop for a pint of milk. It might not be all that often that you’re left with half a bottle of wine, but for those times that you are, or you just want to look fancy, stop that bottle in style. Coffee mornings round at your house won’t get much better than this. Sip your latte from these bone china cups, which feature an E-Type Technical drawing graphic. Oh yes, there’s a matching Jaguar fragrance for your car! It's apparently “an expression of true masculinity, emanating power, confidence and charisma.” Ooh-er. Parisian perfumers are responsible for creating a fragrance inspired by the F-Pace. One of them, Alexandra Monet, said, “We imagined the fragrance of warm, damp asphalt after light summer rain.” Nice. Maybe you can’t quite afford the real thing, or maybe you just want your house keys to match your car key. Either way, you’ll be making people jealous when they spot this Porsche keyring. Top up your golf-lover’s ball collection with these Audi and TaylorMade balls. As the phrase goes, ‘golf balls are like eggs. They are white, sold by the dozen, and a week later you have to buy more’. Bentley ball point: Just as good as owning a Continental GT, right? If your Christmas budget doesn’t quite stretch to the Continental GT replica, you can still embrace the luxury lifestyle with this Bentley ballpoint pen. Ferrari has a huge range of watches on its site, with most of them being inspired by its cars. Take your pick from the collection, starting from £125. One for all the Hamilton fans out there, the 2018 official flat peak cap in black. Mercedes-Benz logo embroidered in white on front. Hamilton 'Wings' embroidered on the back. Green Monster logo on underside of peak. Done. Ferrari beauty case: If you promised someone a Ferrari for Christmas, does this count? 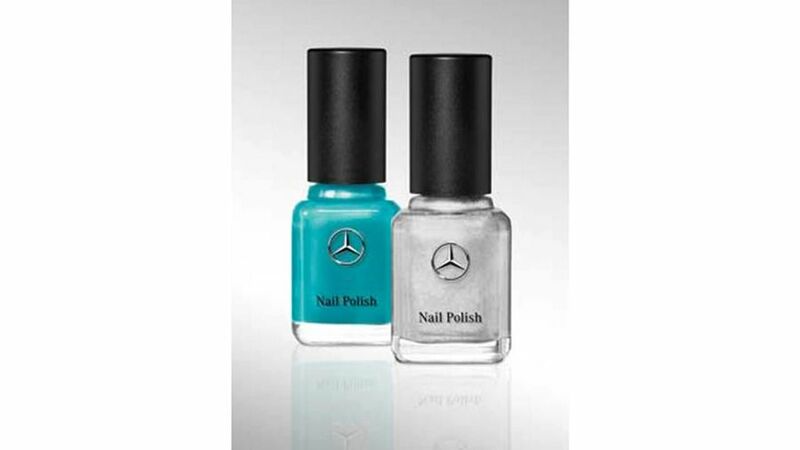 And where will you keep your Mercedes nail varnish? 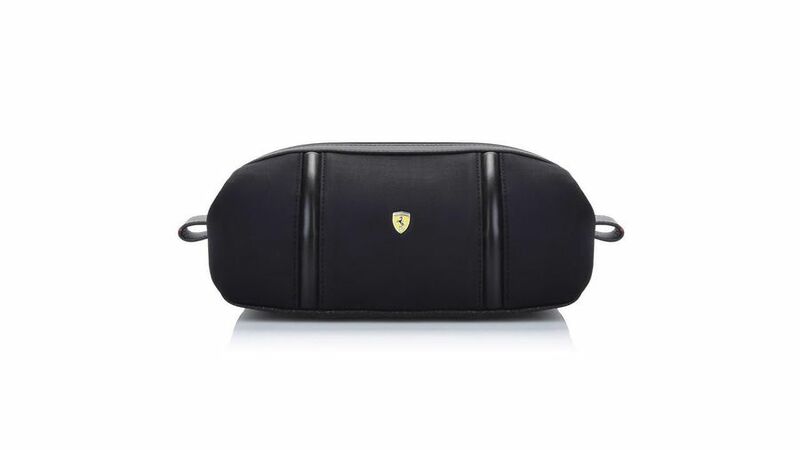 In this lovely leather Ferrari beauty case. 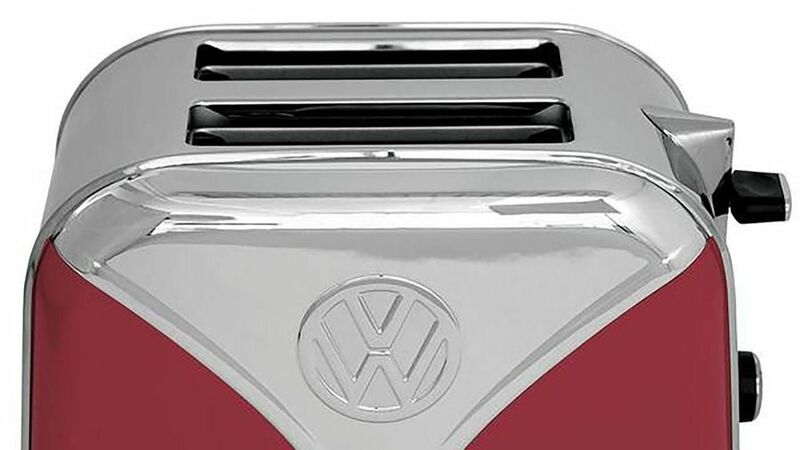 Take your kitchen back to the time of free love, better music, and customised campers, with this VW Classics toaster. 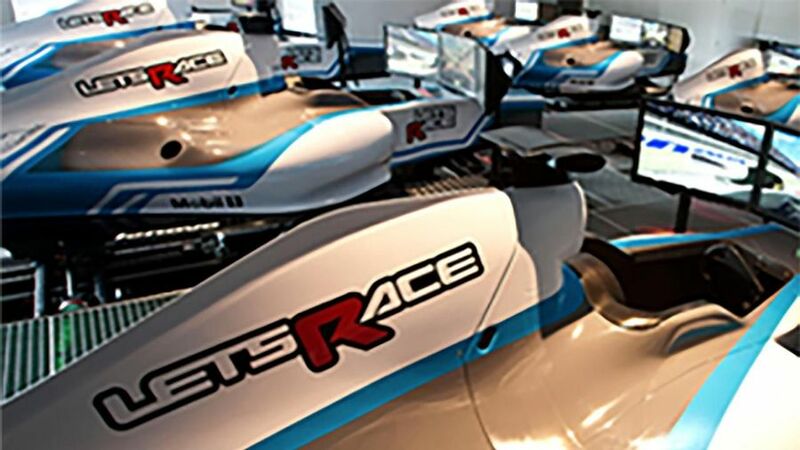 If you want something a bit more hands-on, how about a trip to the Let’s Race F1 simulator? Tackle a variety of famous circuits at 200mph, without leaving the room. This gravity-defying radio-controlled car will climb all the walls in your house using vacuum technology. It can even go onto the ceiling! 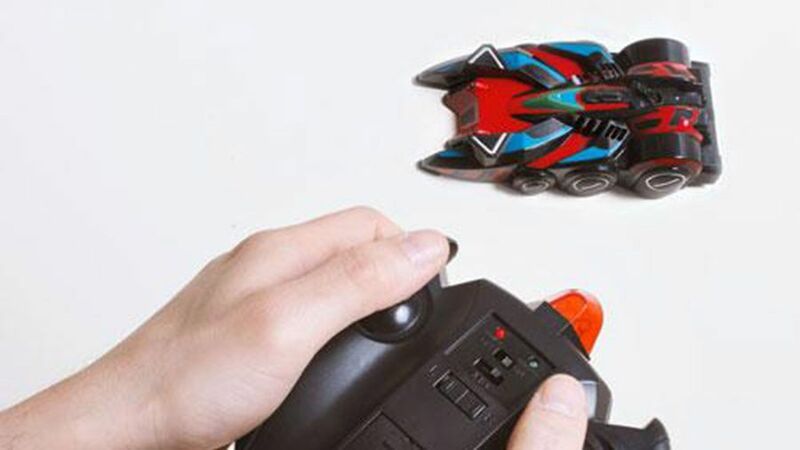 Turn your walls into a race track with hours of fun. And you can even race three cars at the same time. The perfect way to annoy the family! Wall climbing car, Lost World Gifts, £19.99. 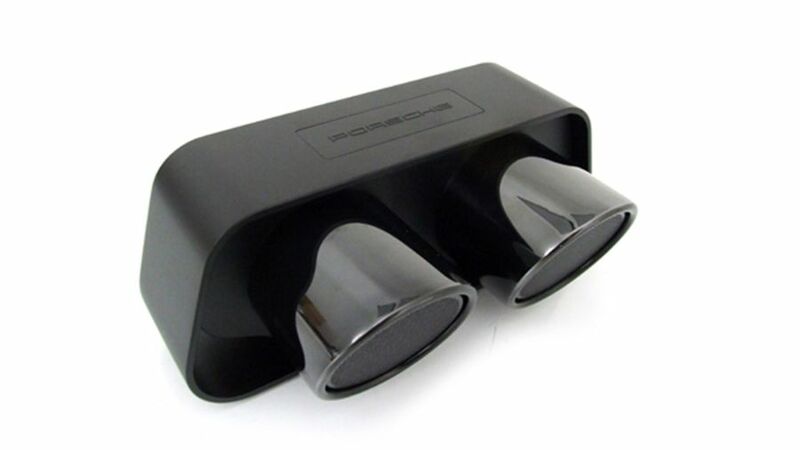 If you were looking for the perfect speaker to go with your fancy Porsche office chair (see above), how about this high-end speaker created from the twin exhaust module of a Porsche 911 GT3? It features top-quality materials, such as its aluminium casing, along with Bluetooth 4.0 and apt-X technology for wireless audio streaming from smartphones, tablets and PCs in CD quality.